Today in schadenfreude: Milo Yiannopoulos, the former Breitbart tech editor (and attention-addicted former darling of the “alt-right”) has just asked for his $10 million lawsuit against publisher Simon & Schuster to be dismissed by the New York State Supreme Court. Tried, at least; Yiannopoulos is currently representing himself in the case, and his past attempts to work through the legal world—including a moment when he was forced to basically ask an unamused judge to help him copy edit his failed requests for sealed documents—have not gone especially well, so we’ll have to wait and see whether he got it right. 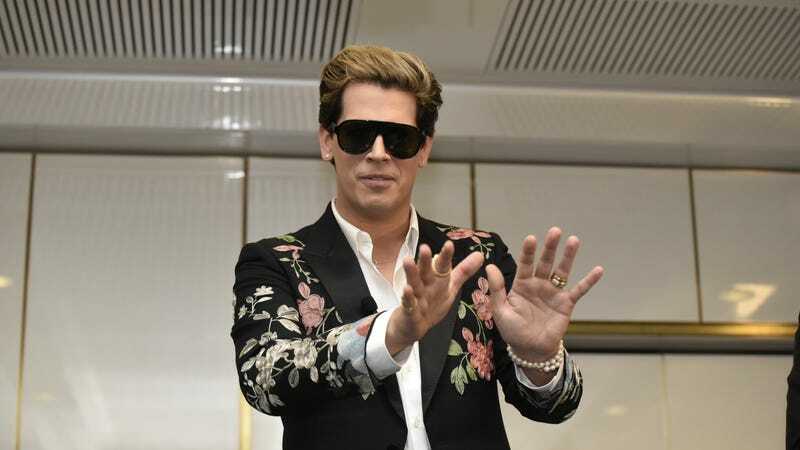 The suit originally stems from Simon & Schuster’s decision to can Yiannopoulos’ book Dangerous, after the former Breitbarter was kicked to the curb by his former allies for opinions expressed about relationships between older gay men and teens (and not, say, for all the racist and sexist things he’d said and done before that). Although he ended up self-publishing the book last year, Yiannopoulos sued the publisher for breach of contract; he won a minor victory last year when his legal team convinced a judge to ignore a call for dismissal on S&S’s part, but, then, that was back when he had a legal team, and now the tables seem to have flipped. Of course, it’s worth noting that Simon & Schuster said back when this all started that Yiannopoulos’ legal efforts were little more than a political stunt, a way to keep the no-such-thing-as-bad-publicity rolling in even as his supporters on the troll right were quietly backing away. Presumably, he’s now collected enough hatred and mockery to keep his horcrux charged until the next time the stars align, and he’s once more ready to go slouching toward Bethlehem to be publicly annoying once more.